Revealed: Smith, Warner locked in, who missed out? 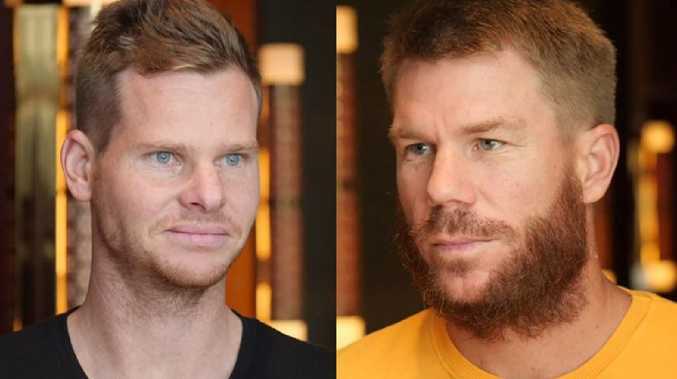 Steve Smith and David Warner will officially be welcomed back to Australian cricket on Monday after winning selection for the World Cup. Smith and Warner will headline the announcement of the 15-man squad and Cricket Australia will also unveil its Australia A squad and contract list. Powerbrokers were confident the return of Smith and Warner would not disrupt the momentum of an ODI team which has posted seven consecutive wins. Captain Aaron Finch's team is fresh from series wins on the road against India and Pakistan. While Warner appeared an automatic selection given his rich form in the Indian Premier League, recent reports suggested Smith was in danger of missing out. The former captain has attempted just one throw in the IPL with his sore elbow still a long way off completely healing. But coach Justin Langer wants arguably his two best batsman in England for Australia's World Cup defence, which begins against Afghanistan on June 1. Warner and Smith are likely to return from the IPL for next month's training camp in Brisbane. Australia is slated to play practice games against New Zealand on May 6, 8 and 10 as part of the camp. The Smith and Warner call-ups means heartbreak looms for two batsmen, most likely Ashton Turner and one of Peter Handscomb or Shaun Marsh. Last night it appeared Marsh was most likely to get the nod as the reserve batsmen despite Handscomb playing in the past 13 ODIs. Late Sunday players had still not been told. Marsh, 35, has made seven ODI tons and is close with Langer while Australia is happy to back in Alex Carey as the sole wicket-keeper. If Carey breaks down then Australia could easily rush Handscomb into the squad given he will be in England as part of the Australia A tour. Fringe players Matthew Wade, Sean Abbott, Mitchell Marsh and Kane Richardson are also likely to be picked for Australia A. Ball tampering culprit Cameron Bancroft will also be in England given he is playing County Cricket for Durham. Glenn Maxwell is currently playing red-ball cricket in England for Lancashire in a bid to boost his Ashes hopes. seemingly been settled on who to choose for some time. Injured bowlers Jhye Richardson (shoulder), Mitchell Starc (pectoral) and Josh Hazlewood (back) are all tracking well and expected to be fit. World Cup assistant coach Ricky Ponting wants Starc, Hazlewood and Pat Cummins to play every single match. But while Starc and Richardson were last night expected to be named in the squad there was no absolute guarantee Hazlewood would make the cut. Finch will captain the World Cup although it is unclear whether he will open the batting or shift to No.3. Finch and Warner blasted Australia to the 2015 World Cup although with Usman Khawaja in hot form it is unclear which opening combination Langer will choose. The full team will be confirmed at 10am AEST Monday April 15.